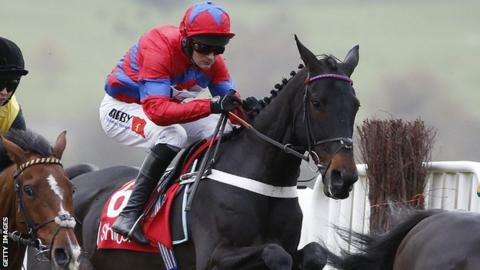 Jump racing's former champion chaser Sprinter Sacre is to miss Saturday's Tingle Creek Chase at Sandown, says his trainer Nicky Henderson. The nine-year-old, who has been treated for a heart condition, won for the first time since April 2013 in this month's Shloer Chase at Cheltenham. He is now likely to race the Desert Orchid Chase at Kempton on 27 December. "He just doesn't need another race at the moment and it's as simple as that," said Henderson. "With Sprinter, the Desert Orchid at Kempton is the likely place for him and if he needs another run before Cheltenham, fine. "We don't need to run him again. We're not going to learn anything. But he looks fantastic - he looked great coming into the race and he looks fantastic coming out of it."